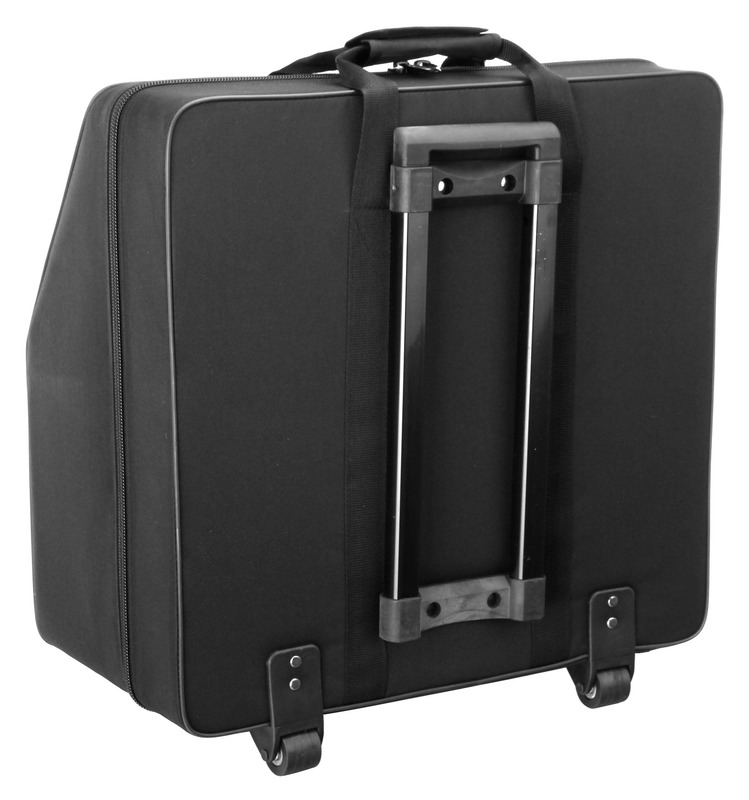 Sturdy molded accordion case/trolley with wheels! 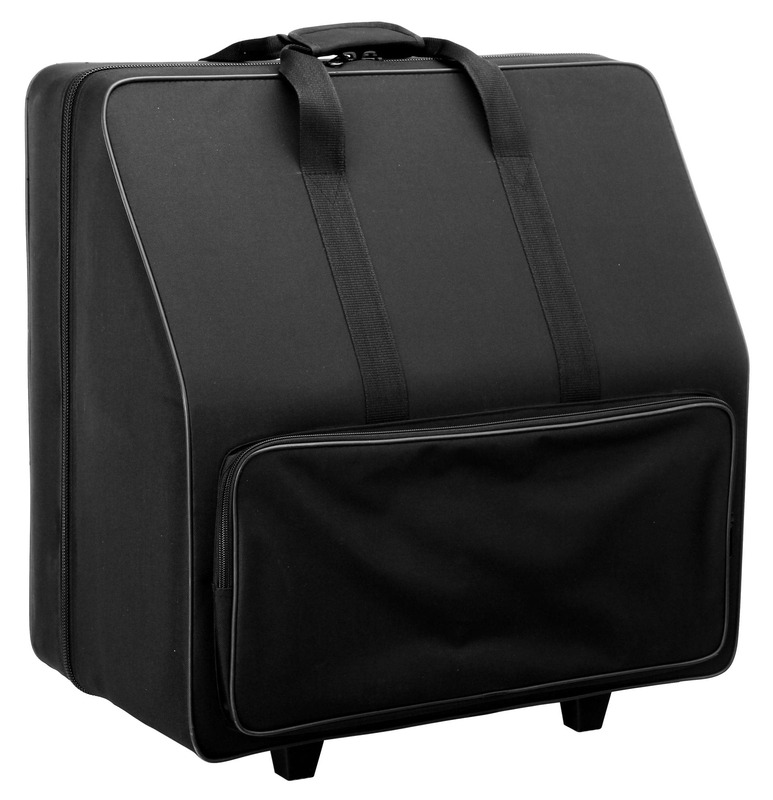 The Alpenklang accordion case is suitable for all 96-bass accordions and protects your instrument against dust, dirt and shock. It has a solid wood core and water-resistant nylon exterior. 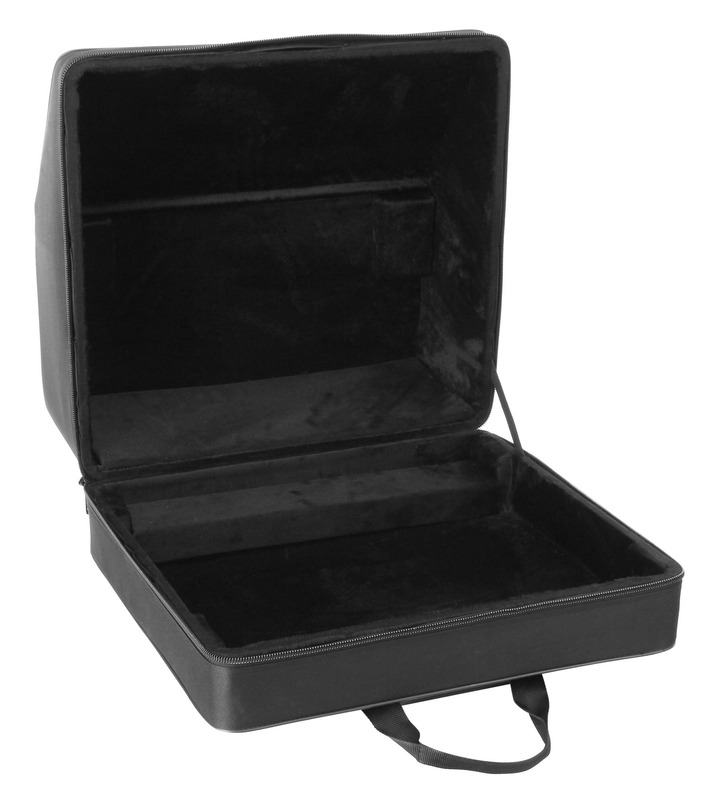 The inside is soft plush lined and padded, offering additional protection for your instrument. 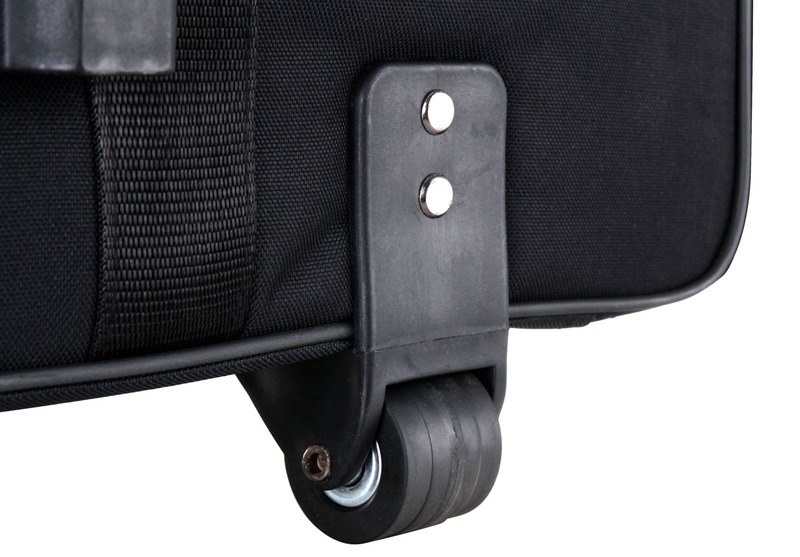 Two wheels and a rear-mounted, retractable plastic handle make transporting the accordion easy! facilitate the transporting of the accordion! 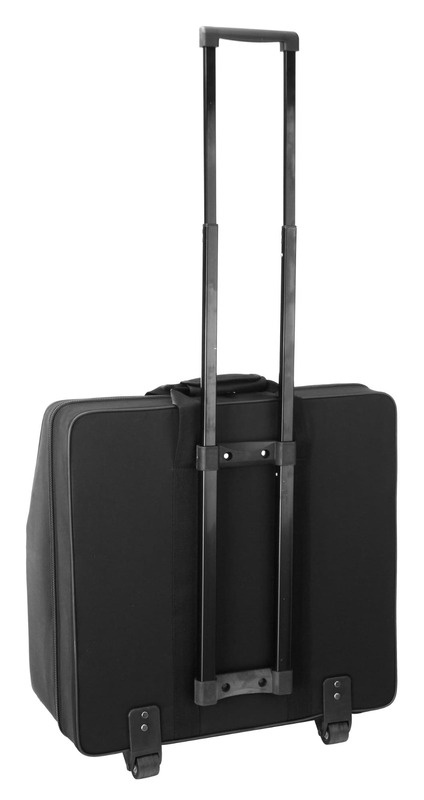 It is also easy to carry using the handles at the top of the case. The case closes with a sturdy zipper. 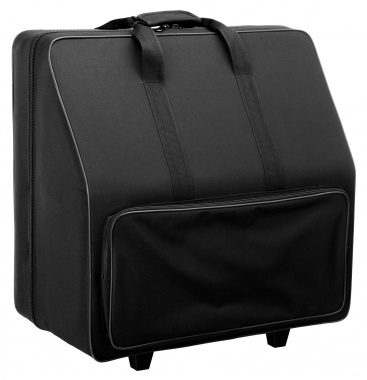 There is also an outer pocket for storing additional equipment like straps.